We got some help planning our route from FujiSan to the mountains south of Osaka. It is a pretty complex and long journey, with several changes that we needed to time right. It took a full day and although it was exhausting, confusing and sometimes stressful, it was exciting too. As our local train slowly wound up the mountain, wheels howling against the steel rails they sat on and sheer valleys yawning dangerously close to our tracks, the journey felt like a worthwhile experience in its own right. Koyasan is a focal point on a pilgrim route for Buddhist Monks. Upon seeing the tiny, but well maintained path that tracked along side our rail line up and up the mountain I began to wish we had more time so we could have hiked up. It would have been amazing to feel that flow of accomplishment upon reaching the top and walking through the 25 meter high welcoming gate at the entrance to Koyasan town. We still felt some accomplishment getting there, and the town itself was a pretty good reward. 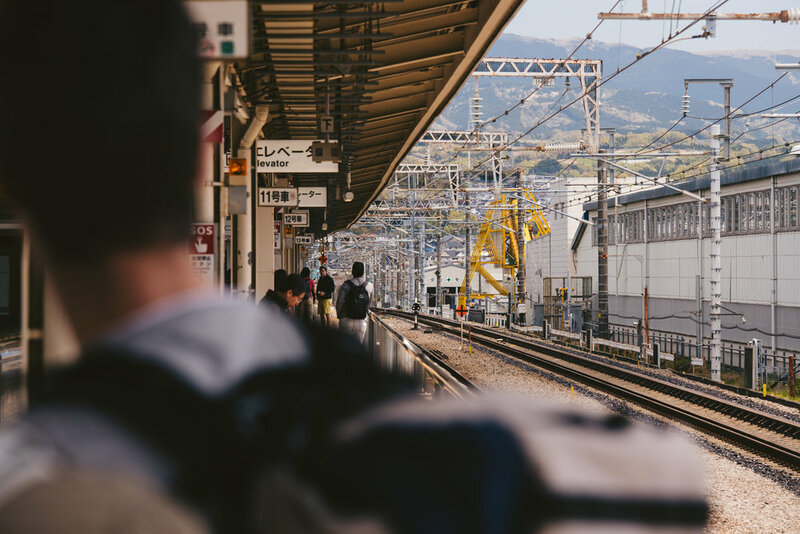 We fell asleep almost immediately and prepared for a day strolling the town before planning for our decent down the mountains to our next destination; Osaka. A lot of the sights of Koyasan can be done within a day. In fact, we managed to even fit in some hiking outside of town within one full day there. 2 nights is a good length of time unless you want to spend more time meditating or soaking information about Esoteric Buddhism. Koyasan Guest House - Scandinavian design applied to the capsule hotel idea. Intimate and cosy, the house is located at the back end of town near the Buddhist cemetery, a great location that has access to food, sights and buses but doesn't feel engulfed by tourism. It would be hard to miss the Buddhist cemetery, but be aware that the most beautiful parts of it are found walking down the quiet side paths that aren't marked on any maps. The cemetery is also lit by lanterns at night. Making a beautiful stroll for those brave enough to enter. A few impressions from our first days in the neon city of Tokyo, Japan.